I'm painting using a very old method here. The portrait started with a Grisalle (black and white) using acrylic rather than oils to make the process move faster. 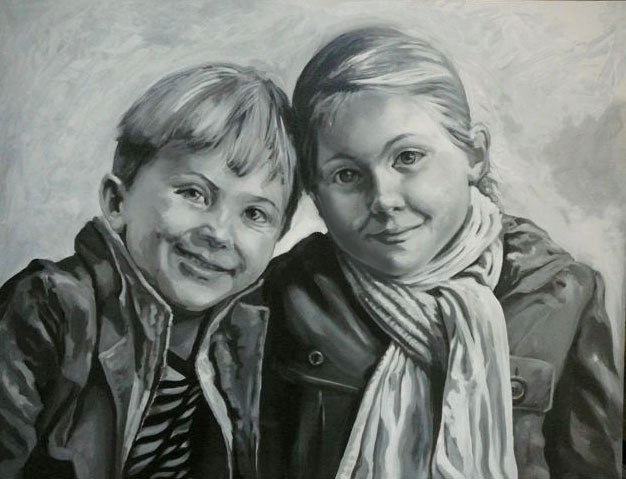 You can paint in an almost photographic manner in black and white. That wasn't my intention here. The next step is to apply the oils with a layer of sepia colour over the black and white work. I chose umber mixed with ochre jaune and a touch of cadmium red. It was a dominant tone in the composition and worked with the skin colours. 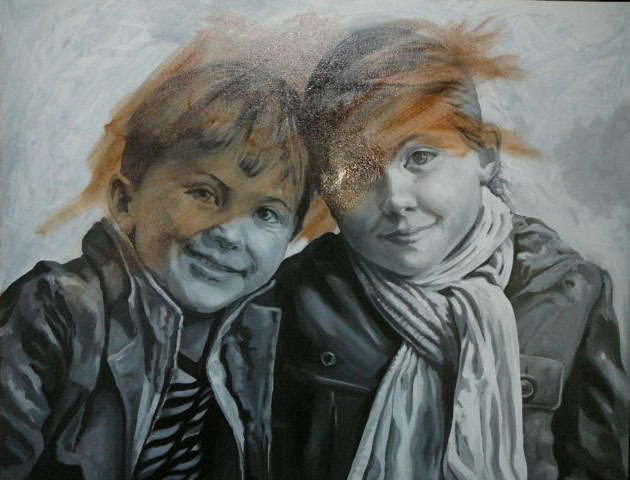 As soon as the sepia is added the painting begins to look alive. The colour and the values of the black and white work make it look very dynamic. It's an illusion that only the artist will experience because of the amount of time they spend in front of the work. There is a lot more to do. Straight away I began working in the background colour which effects how you see everything. Then the highlights in the skin are particularly important. The mid tones are basicly the sepia. Using cadmium rouge and blue with a touch of cadmium yellow for the cheeks and shadow areas (a touch more blue there). The griselle still shows through and gives all the colours a value and the shapes a dimension. A few days later and many layers of colour have begun to add up to the completed painting. I corrected a few elements in the composition. 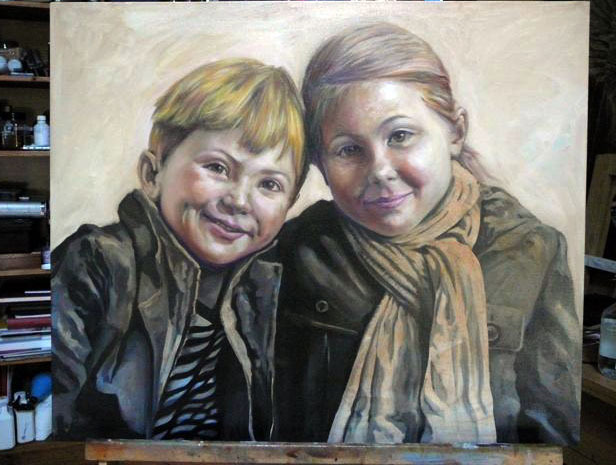 The underpainting seems to have completely disappeared but if you look closely you can see areas where the colour receives it's value from the work beneath. 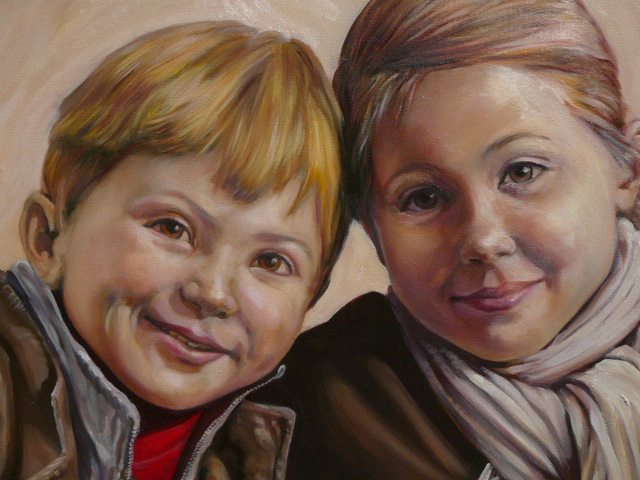 A close up of the portrait. The sunlight makes the wet paint reflective so it's not exactly as you see it here. It will be a few weeks before it is completly dry. How beautiful! Thanks for sharing the process - I found it interesting. Whoever commissioned this is very lucky! 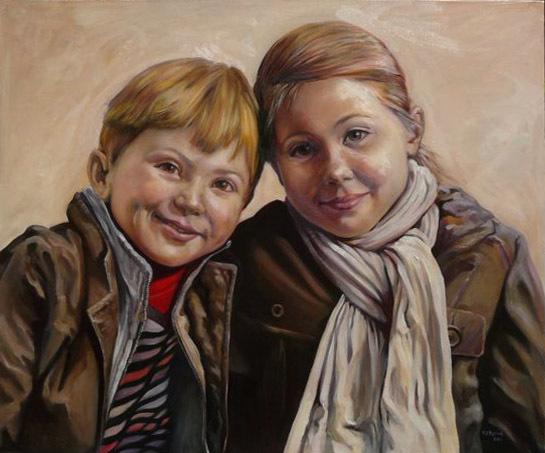 what a fascinating insight into the making of a beautiful portrait!